There?s a spacious ambience to this contemporary family home. Its impressive sitting room is bathed in light by a large bay window, while across the hall are a private study and convenient cloakroom with understairs storage. The expansive kitchen/dining/family room provides flexible space to cook, eat and chill out, with two sets of French doors and a separate utility room accessing the rear garden. Both the en suite master and second bedroom have fitted wardrobes, with two further bedrooms and a luxury bathroom completing upstairs. Seeing is believing, View our virtual tour on the 4 bedroom detached Malvern Help to buy? available to help you move into the home of your dreams Here is an example to show you how Help to Buy could help you move into The Malvern (Please note our example has been based on Plot 23, The Malvern, Please consult our Sales Consultants for plot specific calculations. ): 5% Deposit (paid by you) £22,998 20% Government equity loan assistance £91,990 75% Mortgage (arranged by you) £344,962 Total purchase price £459,950 The equity loan assistance is interest free for five years. After five years you would pay a fee of 1.75% of the Help to Buy loan, rising annually by the increase (if any) in the Retail Price Index plus 1%. The Help to Buy equity loan assistance will be secured by a second charge over the property. Help to Buy is subject to eligibility criteria and terms and conditions. For full details, consult our sales advisor or view our Help to Buy brochure. ?T&Cs apply, visit for full information.About Malvern RiseMore reasons to be moved To help you make your dream home a reality, CALA has the perfect range of tailored incentives available including CALA 100% Part Exchange Service and Help to Buy. View current availability at Malvern Rise. HELP TO BUY - Help to Buy is an initiative designed to support first time buyers and existing homeowners who need help with deposit funds, enabling them to obtain a mortgage of between 75% and 85% with as little as 5% deposit. 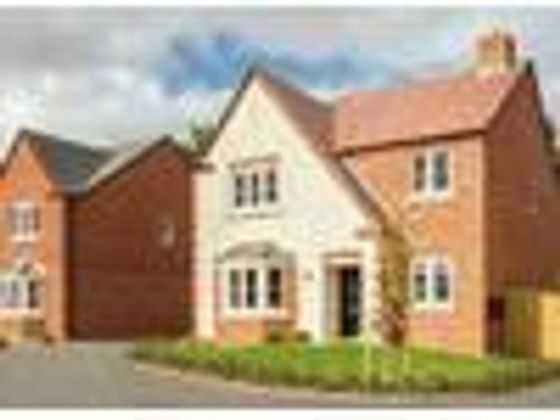 So if you thought you'd never be able to buy your stylish new home at Malvern Rise, Leigh Sinton, think again. Click here to take a look at an example of Plot 41, The Malvern's Help to Buy breakdown. Come home to hillside surroundings The highly regarded village of Leigh Sinton provides an idyllic setting for our 4 & 5 bedroom homes, as well as a local shop and inviting country pub. Malvern?s thriving town centre is also nearby and the plentiful shops, restaurants and cafés of Worcester are only six miles away. Rated as 'outstanding' by Ofsted, Leigh and Bransford Primary School is accompanied by two secondary schools within five miles that are both rated 'good'. Commuters can access the M5 (junction 7), which is nine miles from Malvern Rise, for direct routes to Birmingham and Cheltenham. While the nearest train station of Malvern Link is about three miles away, offering links to Worcester, Cheltenham and Gloucester. The Malvern Hills is an area of outstanding natural beauty attracting everyone from artists, dog walkers and ramblers, to cyclists, horse riders and hang gliders. Built by our award winning Site Manager, our selection of detached homes boasts all the light and family space you need, together with CALA's exceptionally high specification and external finishes. HERE'S WHAT HOMEOWNERS HAD TO SAY "It was a very smooth experience from start to finish with no difficulties. I didn't have to chase anything up so it was all very easy." - Homeowner at Malvern Rise. ?everything so far has been excellent and has gone as smoothly as it could. we are very happy with the home? ? Homeowner at Malvern Rise. Selected plots only, terms and conditions apply, not in conjunction with any other offer, visit for more information.Opening HoursSales office and showhome open daily, 10.30am to 5.00pm. Property advert Ref 4282233 - Is a property advert for marketing purposes only, the information has been supplied by the owner, estate agent or property portal and The House Shop makes no warranty as to the accuracy or completeness of the information. Furthermore we have no control over the adverts content. This property advertisement does not constitute property particulars. Please contact the advertiser to obtain any information regarding The Energy Performance Certificate regarding homes in England and Wales or Home Report for residential property in Scotland.